Kingston Engineering is one of the UK’s leading manufacturers of bespoke power screws and engineering services. 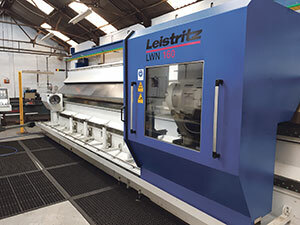 Based in Hull, the company showcases their vast selection of materials and specifications designed to suit the needs of their clients’ precise requirements, which has led to them building an outstanding reputation and enabling them to provide for an expansive range of industrial sectors. Through their vast successful history, dating back to 1919, Kingston Engineering has developed a rich heritage built on providing precision engineering. Kingston Engineering specialise in manufacturing Right Hand/Left Hand, single/multi-start, cut thread Power Transmission Screws and Nuts for over 60 years. Adaptable for mechanical power transmission, their products conform to the standards of British, European and American requirements. All of Kingston’s products meet ISO 9001-2015 accreditation and are examined thoroughly during the manufacturing process. Kingston Engineering has benefitted significantly from their renowned success, enabling Kingston Engineering to flourish within their industry and enabling the company to further their development and manufacturing processes. 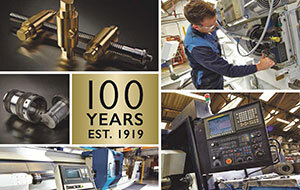 In regards to the achievement of their 100 year milestone, Kingston Engineering has established themselves as an experienced manufacturer with a continuous devotion to advancing through constant investments in their products, throughout their 100 years of trade. Excelling in engineering excellence, Kingston Engineering showcases 100 years of skilled, expert and customer focus based history. Through these advancements and changes in technology, the company has maintained its presence in the market and gained global recognition and presence. Business and Industry Today explored the company’s vast history and outlines how the company has gone from strength to strength, within each decade. The beginning of Kingston Engineering came after the devastating aftermath of the First World War. Originally starting in hull, in their first site on Dansom Lane, the company started trading as Hull Motor Transport and Engineering Co, manufacturing pistons and providing cylinder grinding. Starting small, the company provided car and commercial vehicle repair within the local motor trade. Maintaining its original prospects, is something that Kingston Engineering prides themselves on, dating back to their leadership of Robert Markham and Thomas Simpkins, who designed the business around the concept of giving a bespoke customised personal service for clients, which is something the company still adheres to today. With only 10 employees, the business was smaller and extremely customer service focused, in early years, creating growing success. 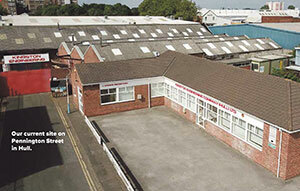 Expansion was clearly on the horizon for Kingston Engineering, even within the early years enabling Kingston Engineering to be able to provide general engineering services. This success and reputation, later expanded further for the company, with Kingston Engineering obtaining a renowned reputation for repairing both saw milling machinery and printing machinery. Kingston Engineering Co. Ltd eventually gained its name in 1924 and the development of manufacturing screws began in 1930, which has proved to be a very significant departure for the business. Expanding through decades marked by World War One, and World War Two is something that not many businesses could achieve, however 1930-1945 saw expansion for Kingston Engineering, with World War Two bringing in a development of manufacturing components required for aircraft undercarriages. Leading the company to expand and develop its manufacturing facilities, (Kingston Engineering was very fortunate to be mostly unaffected by any bomb damage.) Kingston Engineering’s expertise and experience helped them maintain and expand throughout these hard decades. In fact, their workforce also increased within 1930-1945, through the high demand of their services. The evolution of the company during the next 20 years, took flight at the end of World War Two. Operating from a larger site in Pennington Street, Kingston Engineering began their successful journey of specialising in screw manufacturing. 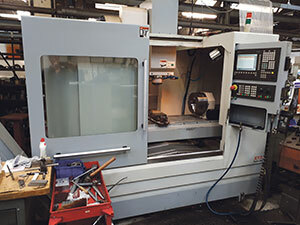 Even within these early years, Kingston Engineering began to engage with their ethos of investing in the company, leading them to increase their skills through the installation of new modern machinery. Their skilful repute gave Kingston Engineering the perfect platform in growing and exporting globally, as their specialist screw manufacturing brought in a new market, expanding to Australia and South Africa. The arrival of the sixties saw a shift in terms of counter sales for Kingston Engineering, the company moved from motor sales to industrial sales. Furthermore, the sixties contained many major development factors for the company including, investments in the factory, expansion in exporting, the purchasing of modern machinery, expansion of product range and an ‘Off the Shelf’ service introduced. The company now had extremely well-equipped workshops, enabling them to accommodate facilitates for milling, shaping, welding, grinding and turning. Through accommodating these facilitate, Kingston Engineering further expanded their factory premises. 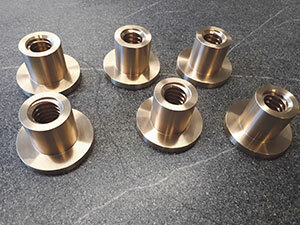 Their product range advanced notably within this era too, leading to a vast range of screws, sprockets, chains, pumps and bearings; there was also an expansion for their sprayed coating services where Kingston Engineering now offers the service for worn components. In terms of their exporting, Kinston Engineering saw further developments within this span of 20 years and had now began exporting across Europe. In 1979, the company celebrated its milestone of 60 years and was being run by two direct descendants of the two founding families. The introduction of the digital years throughout the 1980s saw the rise of new advancements within engineering industries. Digital technology further increased Kingston Engineering’s already established skills and gave them the perfect tool in broadening their production skillset. Moving onto recent years, Kingston Engineering has now established a dominating presence within the engineering sector. With more and more technological advancements being used within manufacturing, Kingston Engineering has developed significantly, in terms of modern machinery and in-house facilities. Examining their amazing 100 year of production up to today, Kingston Engineering has built an extremely positive reputation which has allowed them to produce top of the range products. Through such a detailed rich history of skilful work behind them, Kingston Engineering has shown great flexibility, showcasing the adaptability of the company, throughout the decades. Supported by their expert team and managed by working directors, their skills and experience, are at the heart of the company’s success. With a great customer service focus, Kingston Engineering provides a quick, efficient service with help from their 40 plus skilled workforce. It is clear to see how Kingston Engineering has become one of UK’s leading specialist manufacturers and producers of bespoke Power Screws. 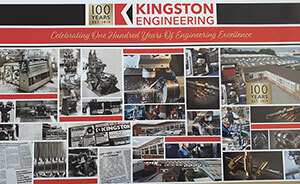 Maintaining the company’s successful 100 years, has never been more important to Kingston Engineering. Inspired to further themselves, they even have recent developments, including investment in a new Mituoyo Euro M544 Measuring Machine, which has become a significant tool for their inspection department. The machine allows Kingston Engineering to measure the physical geometrical characteristics of an object. The machine creates printed inspection reports and is controlled by an operator, with measurements designed by a probe attached to the third moving axis of the machine. 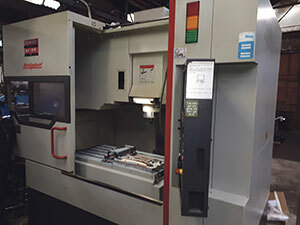 Proving to be a great example of Kingston Engineering’s commitment to constantly improving through investing, the machine benefits the company/clients significantly, especially through the machine producing an accurate drawing of the part that can be used for the manufacture of bespoke items. Kingston Engineering’s current directors are Paul Bielby, Mike Hutchinson and Gill Hickson, who are leading the company to achieve and maintain its established, excellence and professionalism within all aspects of their business. Through their unrivalled skills and years of experience, they are clearly setting the way for Kingston Engineering and helping the company deliver its exceptional services to their customers. A privately owned business, this prestigious 100 year milestone is a testimony to the company’s sheer determination to invest through their skilled team of workers, facilities and technologies. It is clear to see that over the years, the company have significantly invested in their machinery for continued success. The company’s current directors have an unprecedented, more than 100 years of experience between them and are continuously engaging in plans to help the company become global leaders in screw manufacturing. Congratulations Kingston Engineering, on achieving your 100 year anniversary and clearly setting the way for a further successful future. This entry was posted in Featured, News and tagged Engineering. Bookmark the permalink.